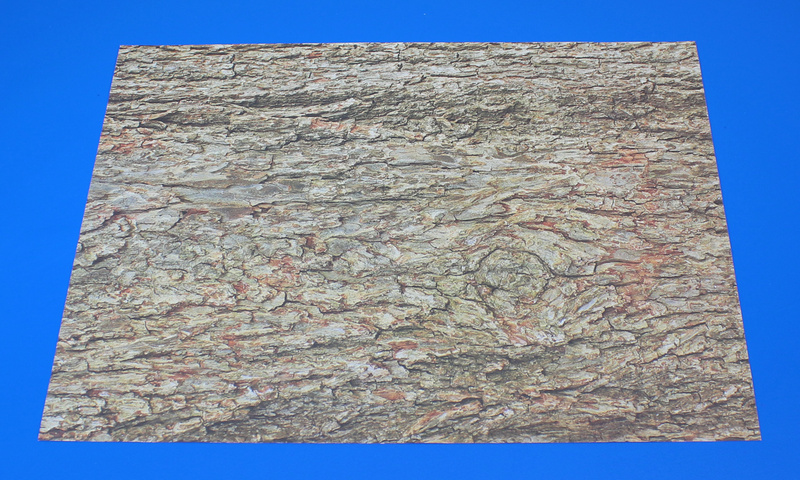 This is our first post about our newest product−R15294 Terrific Tree Paper! 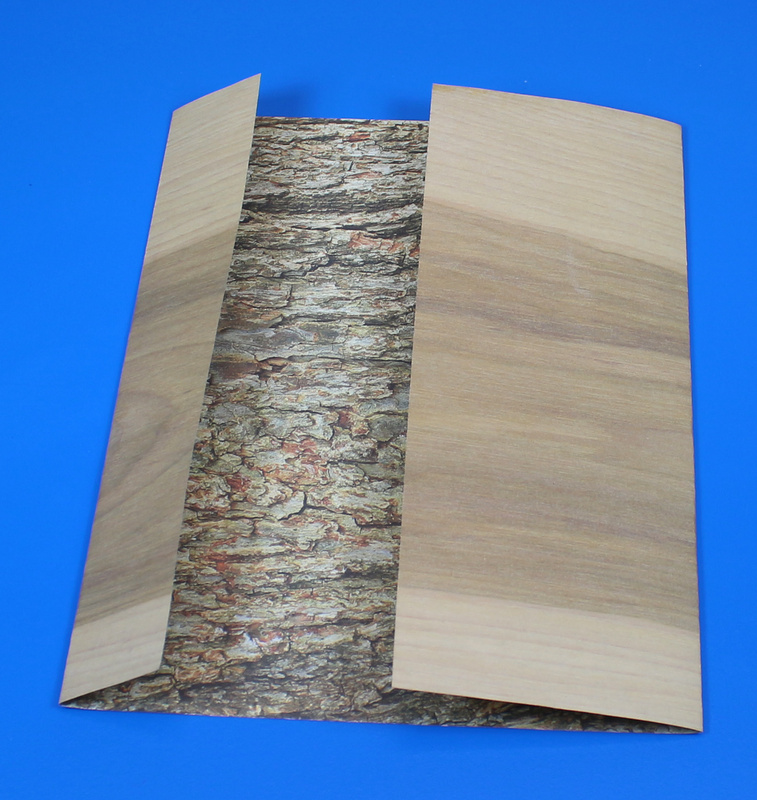 The tree paper can be used to explore natural botany with its unique prints of tree bark and wood grain on either side. Learning Objectives: Learn about natural botany through the shape and construction of the trees. 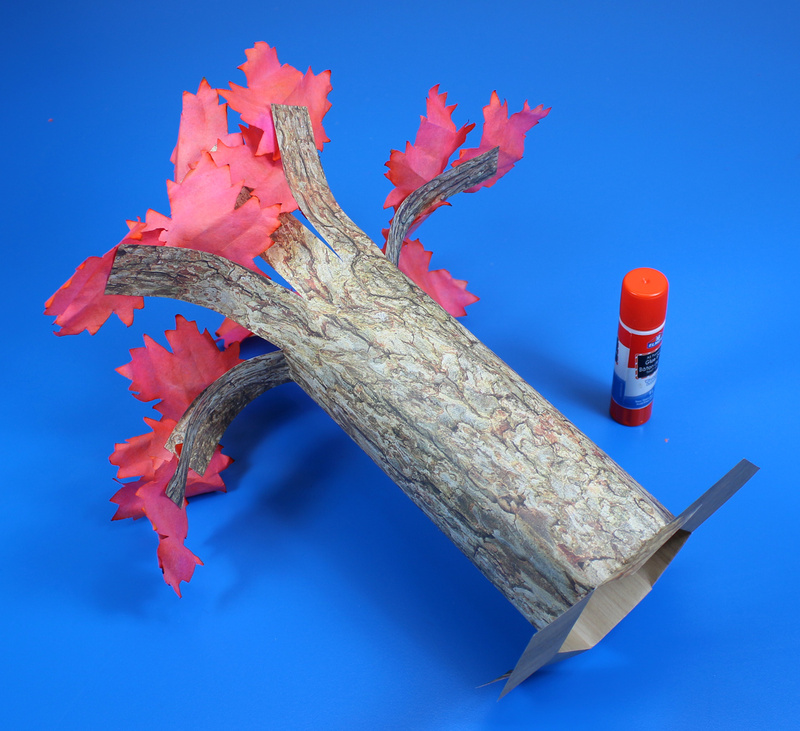 Create a forest for diorama or display projects. 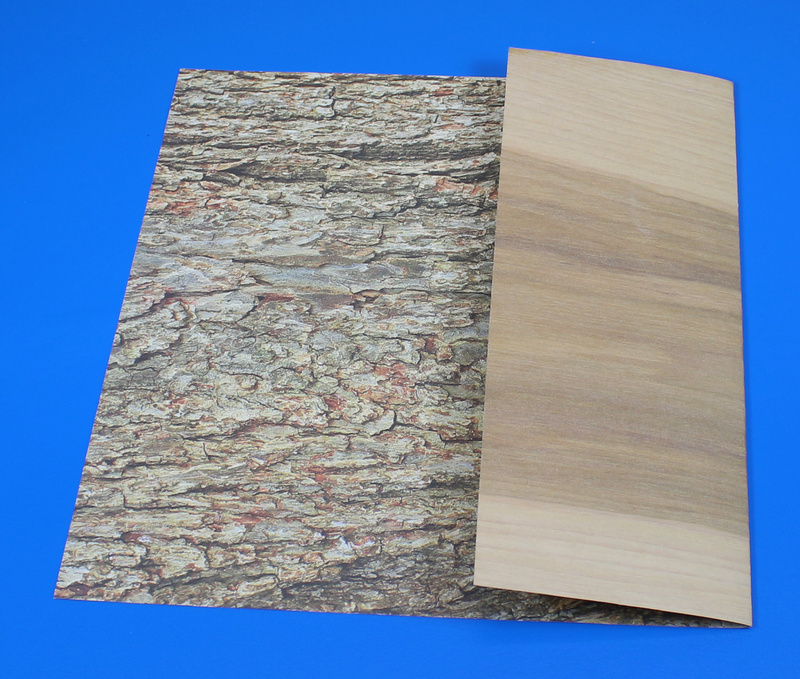 Talk about the different types of wood barks and wood grains printed on the sheets. 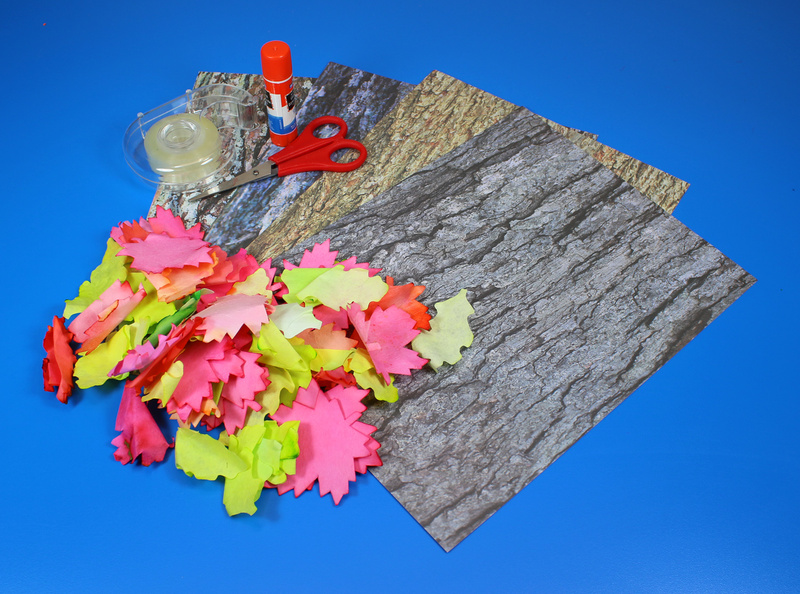 Identify the different species of trees to go along with the printed sheets. 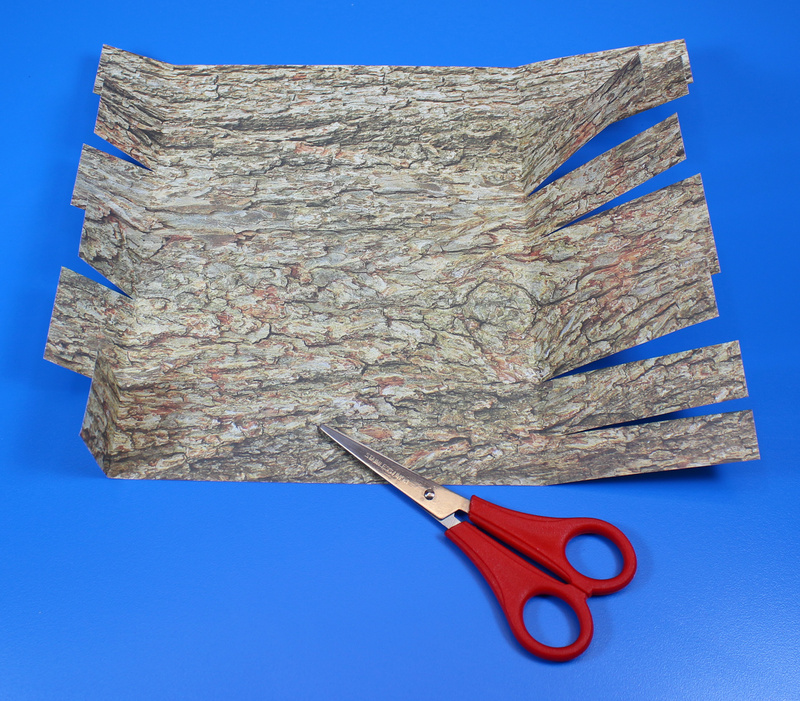 Take a sheet of Terrific Tree Paper. Fold the right side of the paper in towards the halfway mark on the sheet. Fold the left side of the paper 1/8 across the length of the paper. Unfold the flaps. Cut slits across the paper up to the fold lines on either side. The slits can be about 1″ to 2″ apart. 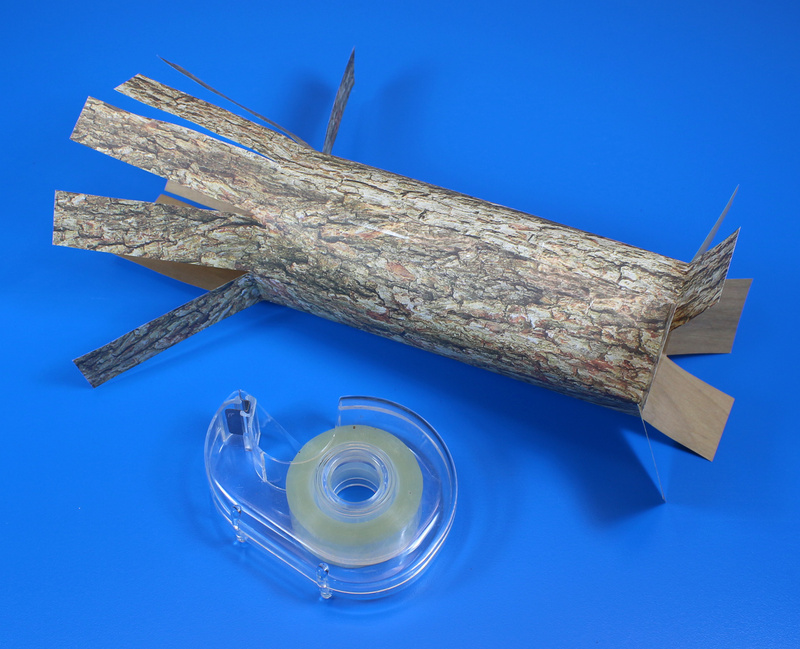 Roll the long side of the flat sheet into a cylinder, which will form the tree, and tape the sides together. Fold out the shorter tabs at the bottom of the tree. Curl down the longer tabs at the top of the tree and tape the Autumn Leaves Paper Bits to the ends of the tabs. This is what the tree looks like when the branches have been fully decorated with leaves. 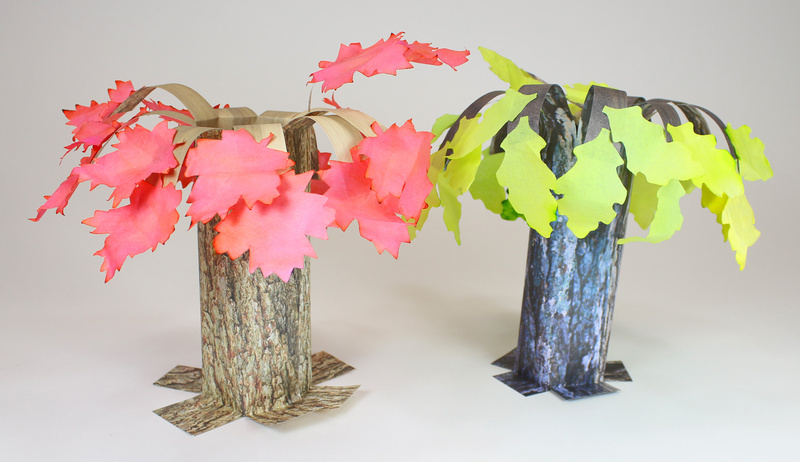 Combine every student’s tree project together to make a beautiful forest for a nature display, like this one! • Make animals from natural objects! Combine the shapes together to make a fish, bird, bunny and more! 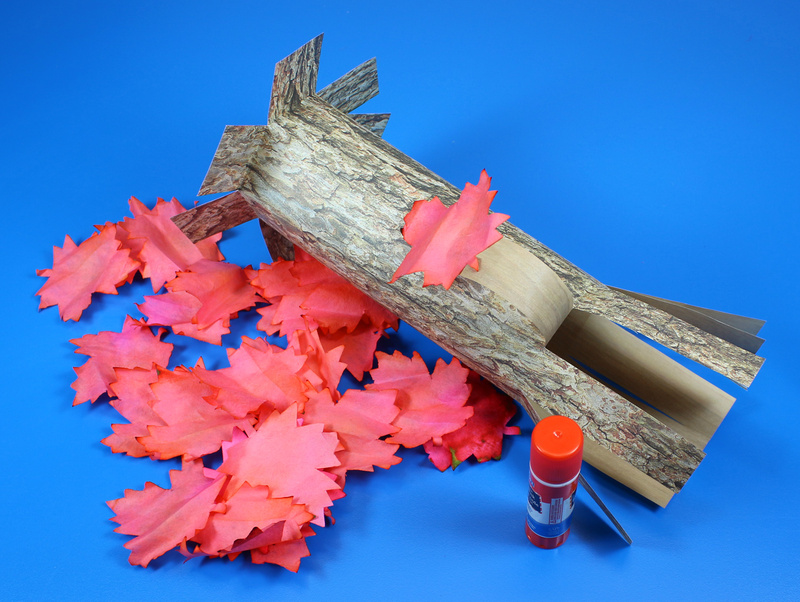 This entry was posted in Crafts, New and tagged art activities, autumn craft leaves, diorama display, diorama scenes, nature art, nature crafts, nature scenes, paper trees, r15294, r15656, terrific tree craft paper, wood paper by roylcoblog. Bookmark the permalink.